Our Pet of the Week is Kellogg! Today we’re featuring a kitty that was rescued back in May of 2018. Poor Kellogg came in almost completely hairless and pretty thin! 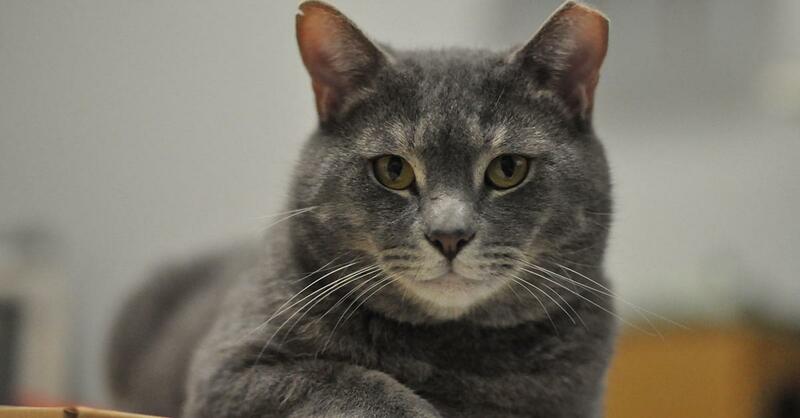 Second Chance nursed this 5-year-old cat to purrfect health and now, he’s ready to find his new home! Kellogg lives in one of the cageless community room at Second Chance — there’s no containing this boy! He’s a real energetic kid who loves to run and wrestle with the other cats in his room. Who needs toys when you can have best friends? Kellogg doesn’t discriminate between feline and human friends—he loves them both and he’s hoping to have some of each in his forever home. Come to Second Chance and meet this handsome kitty, or visit SecondChanceNC.org to learn more about Kellogg and to apply to adopt. Apply to adopt Kellogg! Fill out an adoption application today!